I will warn you: when we cook, we usually cook BIG. If I’m taking time to make a recipe, I figure we might as well double or triple it and throw the leftovers in the freezer for another day. 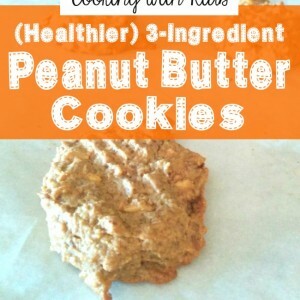 You’ll find the recipe at the end of the post (and it is doubled). 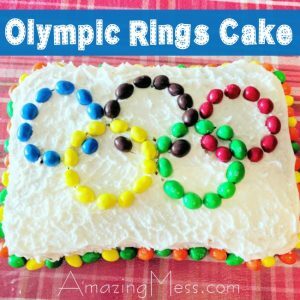 Feel free to cut it in half if you don’t want 16 servings! First, I cored the apples (I love this apple corer/slicer and use it almost every day). Then, the girls set to work cutting the slices in half. 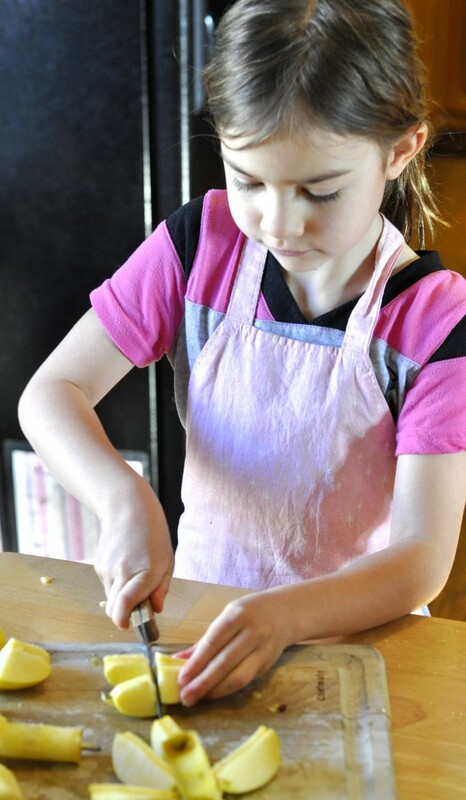 They have pretty good knife skills (the Kids Cook Real Food eCourse has lots of good info on basic kitchen skills). 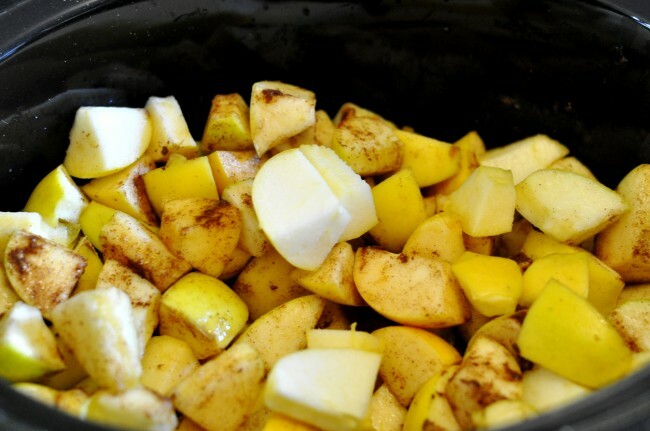 Toss the apples, cinnamon, water, vanilla, and lemon juice into your slow-cooker. Stir it up. Cook it on low for four hours…and you have beautiful aroma of cinnamon and apples filling up your whole house! Yum. 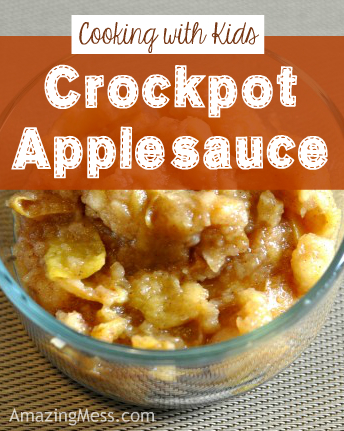 We love to eat this slow-cooker applesauce warm! Place in a large crockpot. Add the water, lemon juice, vanilla, and cinnamon. Stir to coat. Cook on low in the slow-cooker for four hours. 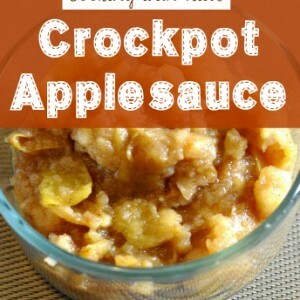 Use a potato masher to make chunky applesauce. 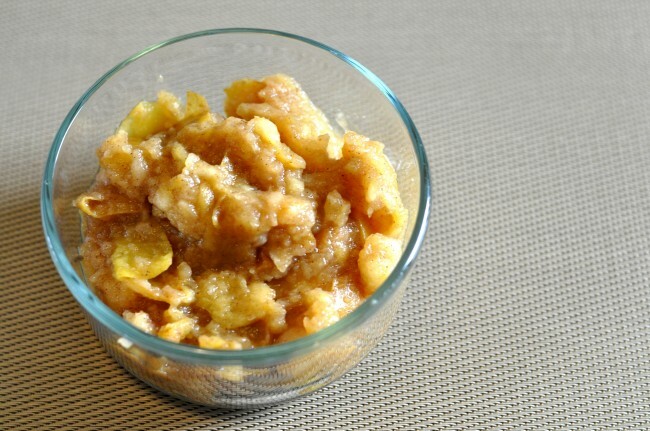 Use an immersion blender if you desire smoother applesauce. Enjoy warm (our favorite!) or cold. Freeze in small containers or plastic bags if desired.